REDD (Reducing Emissions from Deforestation and Forest Degradation) is a United Nations program meant to fight climate change. It will be put into effect after the Kyoto Protocol expires in 2012, and it includes forests on the Carbon Credit market.With REDD, the companies that contaminate the planet the most will be able to continue their activity if, in return, they financially support communities in the South to conserve the forests they live in. According to the program’s promoters, it will absorb these companies’ Co2 emissions, thereby saving our planet, while at the same time these communities grow economically. “These mechanisms fulfill the objectives of sustainable development: they fight poverty and climate change at the same time”, Mexican president Felipe Calderón declared at the COP16 in Cancún. As such, it purports to combat global warming without reducing greenhouse gas emissions, and without putting the capitalist system and its excesses—the real causes of environmental disaster—on the table. Analyzing the application of REDD to the Lacandon Jungle in the Mexican state of Chiapas, all of the problems that the program brings with it begin to stick out. California and the state of Acre (Brazil) have for some time now had their eyes on the Chiapan jungle, Latin America’s second lung. In November 2010, the two governments signed an agreement with governor Juan Sabines Guerrero laying the foundations for REDD’s introduction in Chiapas. Already in 2009 the state government initiated its Program for Action Against Climate Change in Chiapas (PACCCH), thanks to the support of the British Embassy, Conservation International, NGO conservationists (that have the important role of being intermediaries to communities) and academics. Out of all of these, it is the researchers from ECOSUR (El Colegio de la Fontera Sur) who are working on a document to implement REDD+ in Mexico. ECOSUR is also creating a Forest and Soil Inventory to identify which areas take priority in terms of greenhouse gases and carbon sinks, in order to facilitate investment in REDD+. In addition, ECOSUR collaborates in the implementation of projects to open the path for REDD in the Lacandon Jungle called—not accidentally—“Early Actions.” In particular, ECOSUR promotes productive reconversion projects under the framework of the Mesoamerican Biological Corridor Initiative. The objective of the Corridor, according to its supporters, is to connect protected nature areas in the Mesoamerican region, conserving biodiversity and promoting eco-tourist projects or the cultivation of monocrops like fruits or palm oil. According to others, the true objective of productive reconversion is to prepare communities for the introduction of REDD. In the Montes Azules Biosphere Reserve, which is part of the Lacandon Jungle, institutions like CONAFOR [Comisión Nacional Forestal, or National Forestry Commission] and Proárbol are working on the introduction of REDD through Payments for Environmental Services (PSA), whose stated goal is the same as REDD: reducing deforestation and poverty. What’s more, governor Juan Sabines Guerrero is already paying 2,000 pesos monthly to certain indigenous Lacandon families to preserve the area. “We can’t allow human settlements within the Reserve’s interior”, Sabines declared. It is true that the colonization of the Lacandon Jungle has precipitated an environmental disaster: to make room for houses, crops, and husbandry, settlers have cut down a large number of trees. But isn’t it the logging firms that are primarily responsible for deforestation in the jungle? To understand what is happening in the Lacandon and the political use to which REDD is being put by the governor of Chiapas, it is necessary first to open up a small historical parenthesis. In 1972, the federal government handed 614,321 hectares of jungle over to 66 indigenous Lacandonans (though this is not their true name, and they are not original settlers of this region), threatening thirty-seven communities from other indigenous nations with eviction—even though they had settled, sometimes legally, on this land. The Lacandonans, in turn, signed an agreement in which they promised the company Cofolasa 35,000 cubic meters of wood a year for 10 years. The titling law, known as the Decree of the Lacandon Community, was the first step (and REDD is the last) in the opening of the “Lacandon gap”—that is to say, the bid to physically delimit the territory belonging to the Lacandonans, who continue cooperating with the government’s policies (thereby leaving those who do choose not to do so by the wayside). One of the next steps in the opening up of the gap was the creation, in 1978, of the Montes Azules Biosphere Reserve: these ‘protected natural areas’ are policies meant to strip indigenous communities of their rights to their land. Inside the Reserve there is a “restricted-use zone”, where human settlement has been banned and the families that lived in the area have been evicted and forcefully relocated. At times this was carried out with the cooperation of paramilitary operatives, as occurred in 2006 in the Viejo Velasco community. The next year, the communities of El Buen Samaritano and San Samuel were occupied by the army and disbanded. In the documentary “REDD: Lust for Trees”, Francisco Alfonso de Amador Hernández claims that, out of fear, many communities have begun to negotiate transfers with the government to a Sustainable Rural City. The Sustainable Rural Cities are impersonal and miserable housing areas where people relocated from different communities—belonging to different indigenous nations, not speaking the same language—live together. In this way, the government can exercise greater control over them and employ them as cheap manual labor in the cultivation of agrocombustibles. In the pamphlet “Mexico’s Vision of REDD+”, the federal government stresses the importance of “respecting the rights to social property and promoting communal management of forests, both in regard to ownership and possession of a community’s lands and in the benefits derived from said management. We recognise the importance of community participation in the design and implementation of the project”. In reality, indigenous people have not participated in the design of REDD, and its supposed benefits are not distributed equally among communities. Often, they are not distributed equally even within the same community: for example, in Frontera Corozal, which has 1,100 residents, the agreement was signed with the consent of only 60 community members. 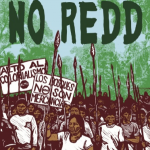 Thus, REDD, and the projects that are setting the ground for its introduction, do nothing more than sharpen the tensions already present in the Lacandon. Lula said, ‘I think this is a victory for Brazil’s energy sector’. The US-based Monsanto company, the world's biggest seed company and undisputed world leader in agricultural biotechnology, announced in June 2011 that it would increase its activities in Puerto Rico.